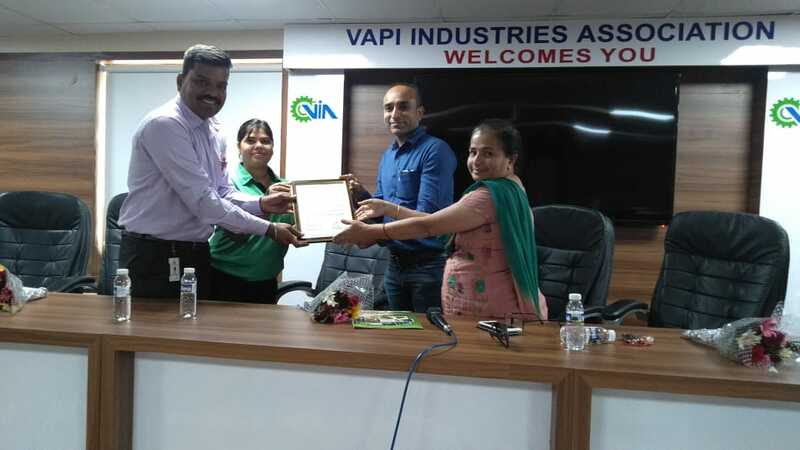 In its continued effort to mitigate the risk of accidents, Vapi Industries Association is regularly organizing Safety Alert Programs to create awareness and train the safety personnel of Industries Members. 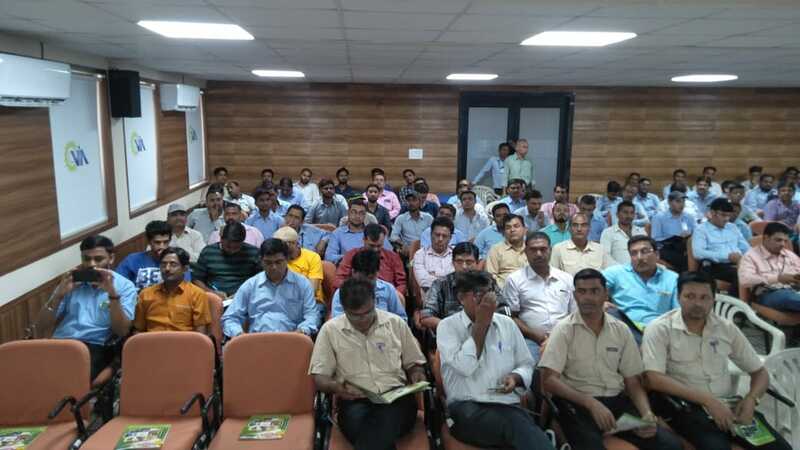 One such session of Safety Alert Program on Emergency Preparedness at Work Places was organized on 30th October 2018 at VIA 2nd Floor Conference Hall jointly with Sarvam Safety Equipment (P) Ltd. with the support of Directorate of Industrial Safety & Health (DISH), Valsad and Gujarat Pollution Control Board (GPCB), Vapi. 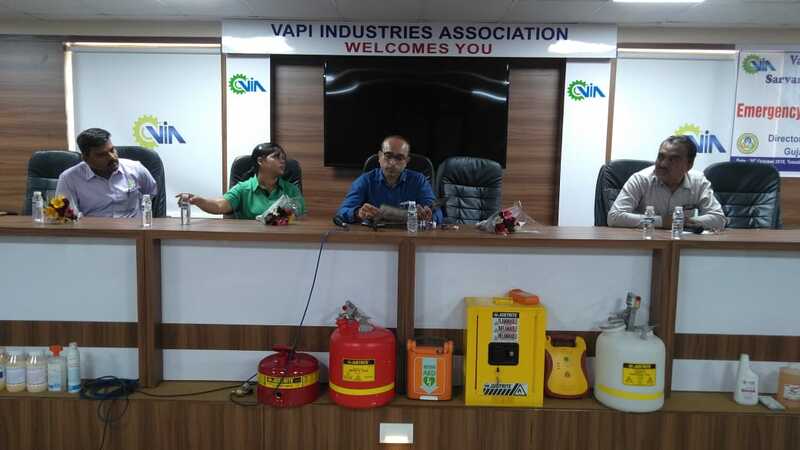 Shri Prakash Bhadra, President, VIA expressed the concern of VIA in making Vapi Industrial Estate a zero accident estate and the efforts made by the association towards the same. Shri Satish Patel, Hon. 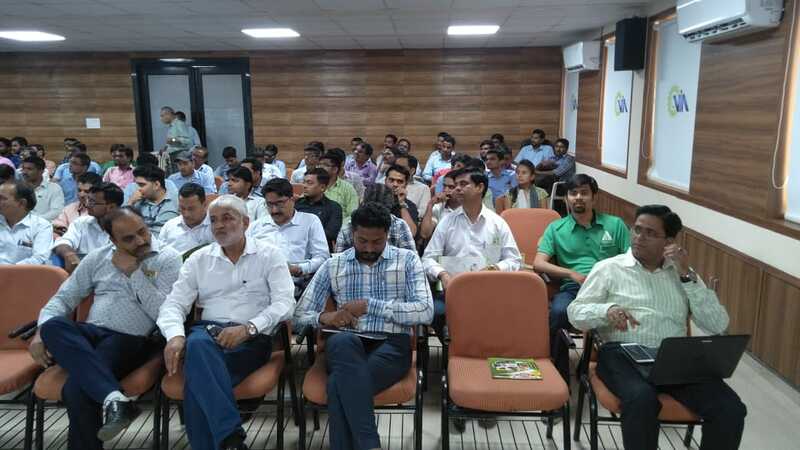 Secretary, VIA during his introductory speech also pointed out the necessity to create awareness on safety measures which will result into reduction in rate of accidents at industries. Smt. 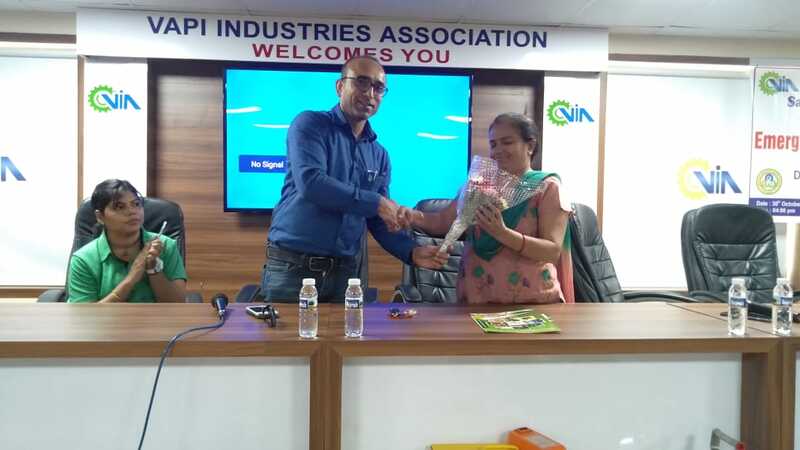 Jignasha Oza, Environment Officer, GPCB, Vapi said that in the last one week VIA and its associates has organized to seminars on Safety and that itself shows our commitment in maintaining Industrial Safety & Health in the estate. Mr. Mohanarangan V, Sr. Business Development Manager, Sarvam Safety Equipment (P) Ltd. and Sr. Business Development Manager, Sarvam Safety Equipment (P) Ltd. gave presentation and demonstration of various Safety Equipments to combat accidents and health hazards at work places. The program was well attended by over 120 industries members and their safety personnel.